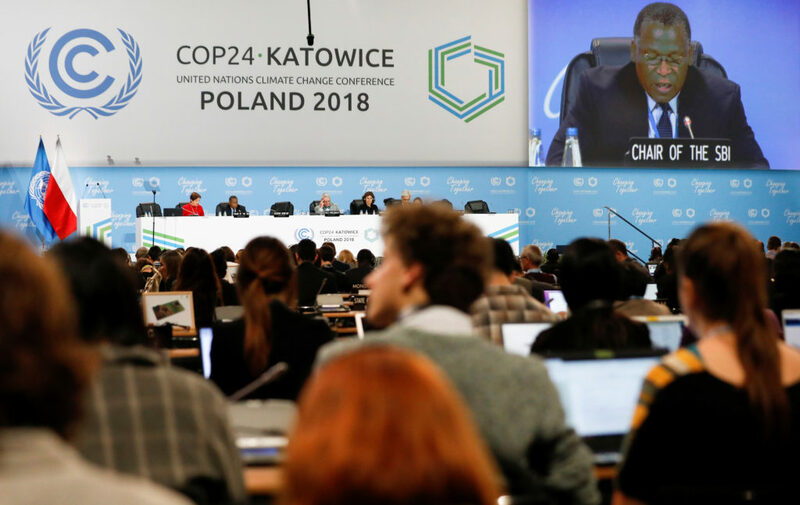 U.N. Secretary-General Antonio Guterres spoke at the climate summit, which aims to work out how governments can report efforts to meet the goals laid out in the Paris accord. The U.S. supported the language on reforming the World Trade Organization, but did not sign on to a commitment to support the Paris Climate Accord, which Trump is exiting. People in the U.S. and more than 90 other countries planned to take to the streets in 800 towns and cities to call for immediate action on climate change. Macron defended his outreach to Trump, whose "America first" policies have elicited worry and disdain in Europe. WASHINGTON — Less than one-third of Americans support President Donald Trump's decision to withdraw from the Paris climate accord, a new poll shows. Syndicated columnist Mark Shields and New York Times columnist David Brooks join Judy Woodruff to discuss the week’s news, including President Donald Trump’s move to withdraw the United States from a global agreement aimed at curbing climate change-causing carbon emissions. Secretary of State Rex Tillerson downplayed the significance of the U.S. pullout from the Paris climate pact, arguing Friday that America still will continue taking steps to cut heat-trapping pollution.